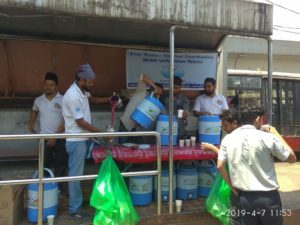 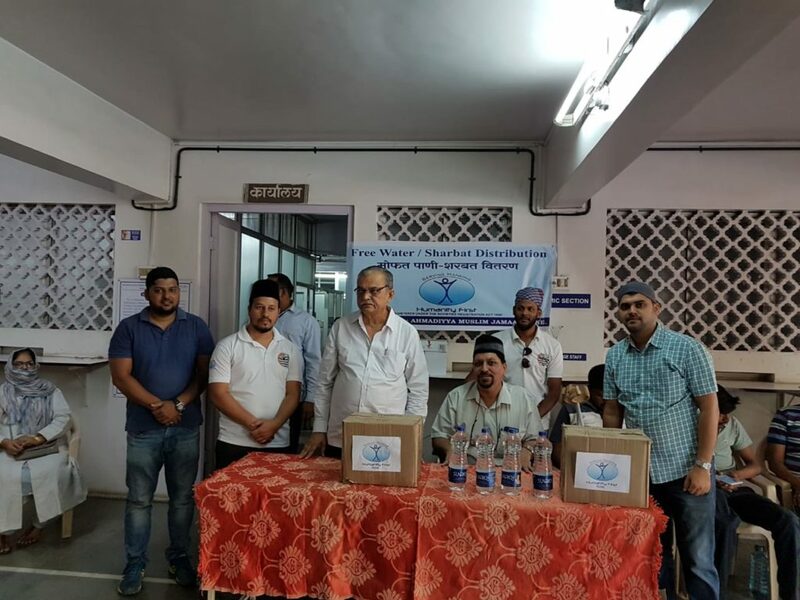 On 7th April 2019, the members of Majlis Khuddamul Ahmadiyya Pune along with Humanity First India distributed water bottles at the “Sane Guruji Hospital” during a free Medical camp for handicap people. 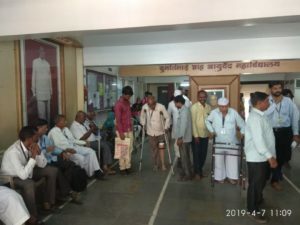 Most of the people who benefitted from the Medical Camp at the hospital were poor and senior citizens. 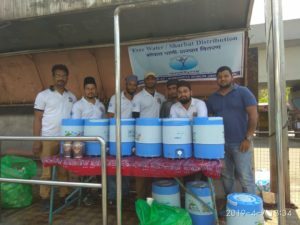 They accepted the water bottles with a smile. 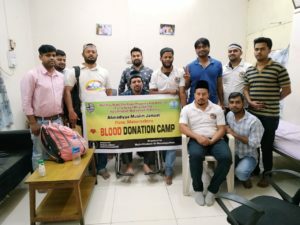 The volunteers of Hospital appreciated the team’s efforts. 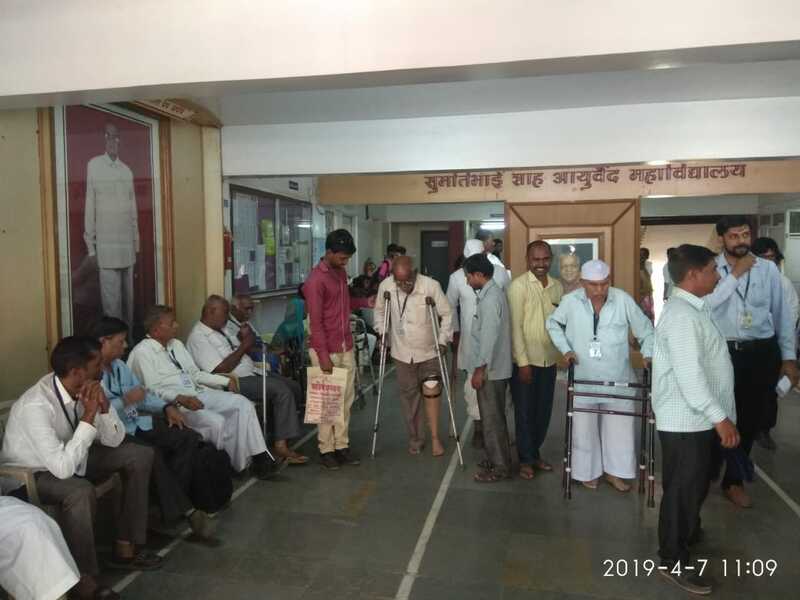 MKA Pune also congratulated the hospitals’ efforts as they were replacing the prosthetic legs of the handicap patients free of cost. 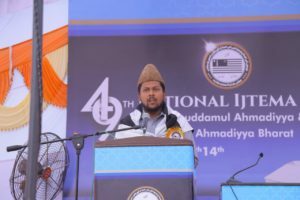 The program was inaugurated by silent prayers lead by Janab Arif Ahmed Tahir, President Ahmadiyya Muslim Jama’at Pune in the presence of Janab Haleem Khan Sahib Muballig Incharge Pune. MKA Pune also distributed water bottles and rose sherbet at the Hadapsar bus stand to about 800 people. 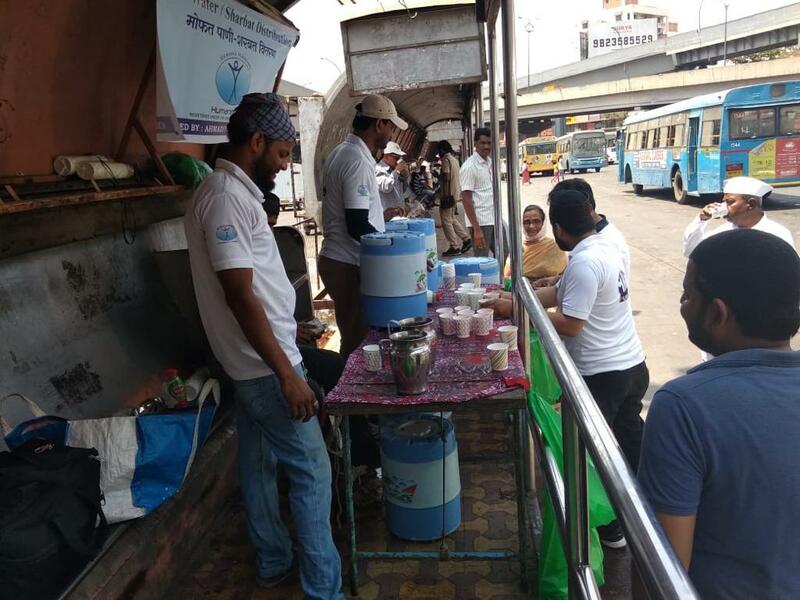 During this, a person approached and said that the youth were doing a great job and said: “very few people help others unconditionally”. 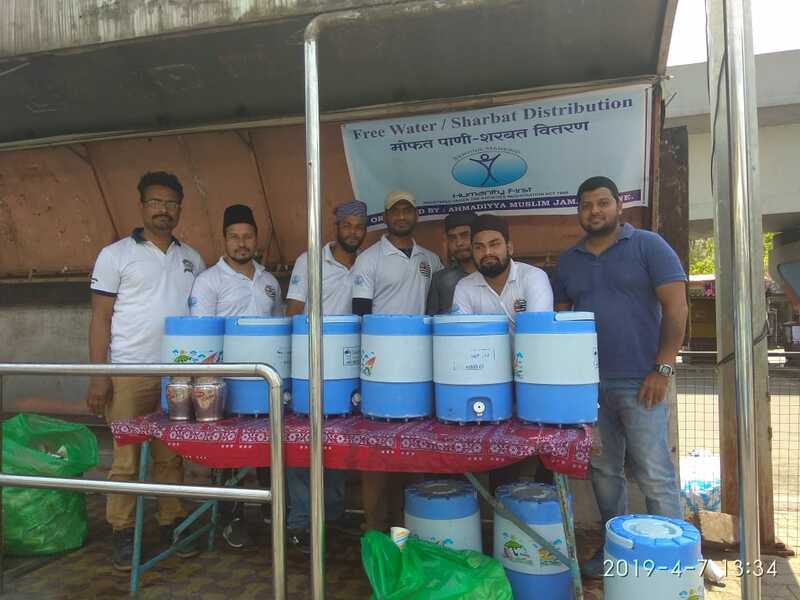 Most of the People asked the members what was the occasion for which they were distributing sharbat? The team told them in Marathi that they were are doing “Seva” that means serving Humanity in whatever capacity we can.